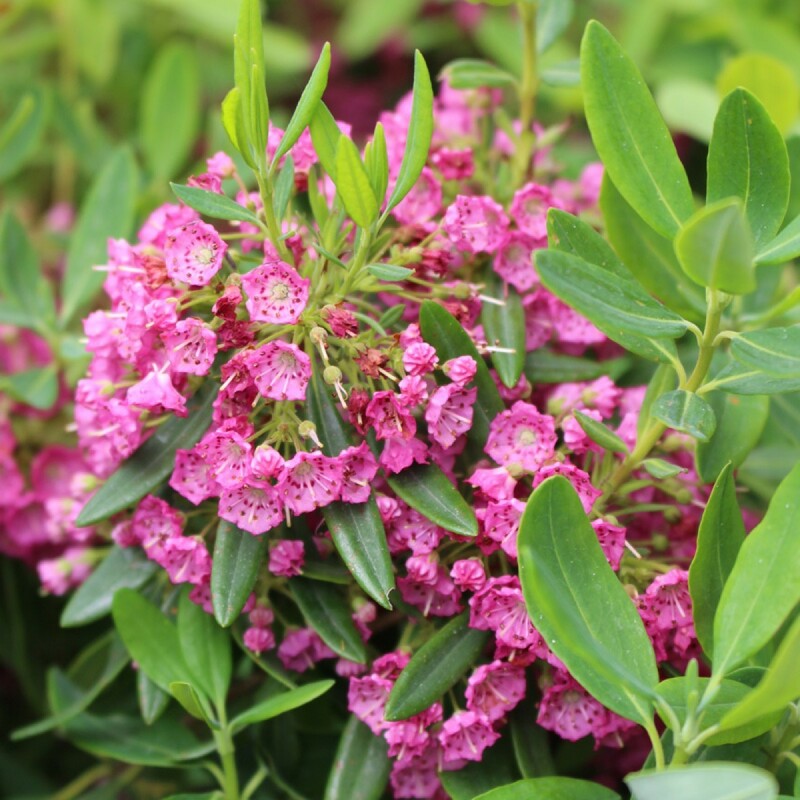 A favourite garden shrub, loved for clusters of flowers that adorn this evergreen, also known as 'mountain laurel' through early summer. Thriving in a neautral to acid soil, this Kalmia will grow into a dense bushy shrub up to a metre tall and will last for years improving its performance each year. 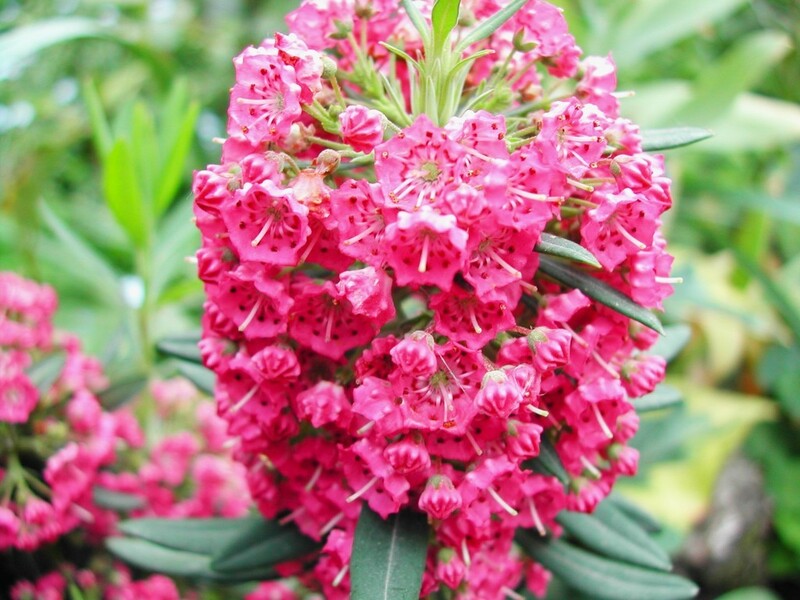 Kalmia is also ideal in large panters if you are gardening on a chalk soil, the flowers can really be appreciated up close like a work of art when it is used in a planter. Supplied in approx 3 litre containers.